This is an interview with five contributors to Imaniman: Poets Writing in the Anzaldúan Borderlands (Aunt Lute Books, 2016). All five poets have an intimate relationship with the Río Grande Valley: Veronica Sandoval, Rodney Gomez, José Antonio Rodríguez, and David Bowles all grew up or around the RGV, and Emmy Pérez has lived there since 2000. The Río Grande Valley is a landscape that inspired much of Borderlands/La Frontera: The New Mestiza by Gloria Anzaldúa, who famously wrote: “The US-Mexican border es una herida abierta where the Third World grates against the first and bleeds. And before a scab forms it hemorrhages again, the lifeblood of two worlds merging to form a third country — a border culture.” With so much uncertainty since the November election, I wanted to hear what poets have been thinking about and building. Specifically, poets navigating (or who have navigated) the physical landscape of the US borderlands. I spent the morning of May Day re-reading the responses of these poets, and once I closed my laptop, marches for the “Day Without an Immigrant” had bloomed and erupted through San Francisco and Oakland. The nahuatl word that David Bowles talks about in this interview rang particularly potent that day: “chīhualoyān”, a time for making. 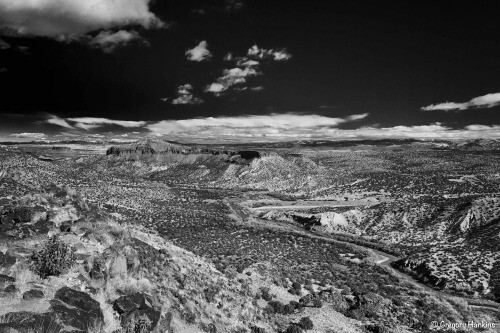 The following is a reflection on The Río Grande Valley, language, ritual, and creation. 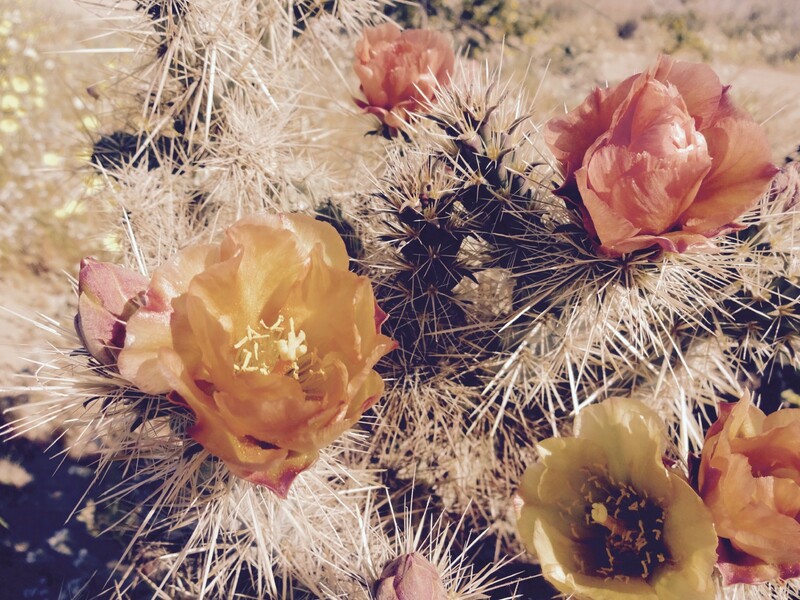 What is one thing living in the Río Grande Valley has taught you, and how has this informed your art? SANDOVAL: El Valle has taught me that I exist. I have a history, a place where I was born, a place my own, un lugar de chicaras and palmas, of rosales and mesquite. El Valle taught me the importance of having such a place, especially now that I live in Washington State and am working on my PhD. I cannot disconnect the reality of my experience from the ideas seeking theory, from the words being poured on to the page. My history keeps me grounded, a history of cervezas con comadres, of locadas hasta la madrugada, of vatos quebrados, of cumbias and Tejano, of poetry, of my head on my mother’s lap, her fingers in my hair. I keep alive that “I” in discourse that academia keeps trying to shame out of me. GOMEZ: Historical amnesia is very real here. It is possible for a people who compose 90% of a population to forget how the other 10% has historically marginalized them. Students are not taught how, just a few years ago, there were white drinking fountains and brown drinking fountains, how, if you spoke Spanish in school, you were beaten. We are not taught our heroes. Certainly not Chican@ writers. Sometimes, growing up, I heard about Rolando Hinojosa. I didn’t read Américo Paredes until graduate school. Gloria Anzaldúa was like a black magic incantation, never to be spoken. Things are changing now. Miraculously, gloriously. But the wounds remain to be stitched up. There is an obligation in all of this to write, to insist that the next history will not be written without us. BOWLES: Who I am is so deeply threaded in the weft of our regional culture that any attempt (by me or others) to pull me free would be destructive. As a result, my art centers on that interplay between communal and interior experiences (like the familia-centered heroism of the protagonists in my Garza Twins series). Though it’s certainly true, as Rodney expresses, that there was no public, mainstream acknowledgement of the objective value of Mexican American experience in my youth , the stories I heard at the knee of Grandmother Garza, on my Uncle Joe Pérez’s ranch, in my tía’s kitchens…those bits of lore were seeded in my heart, shaping my thinking about the world. Blossoming now, mighty ceibas of the spirit fling me along their limbs into Latinx futures and down their roots into indigenous past. RODRÍGUEZ: In a very concrete sense, the Rio Grande Valley is a community of contradictions, which is a result of the meeting of two nations on unequal terms. There’s a marked presence of elements of Mexican culture, but there’s also a great desire to embrace cultural artifacts that represent dominant American culture, such as national franchise restaurants and status symbols like iPhones. In larger terms, the RGV is the very definition of marginalization, which is ironic, since it’s a such a significant port of entry for immigrants. I was reprimanded for speaking Spanish in school. I was pushed into the queer closet. I was taught shame for my own poverty. What I’ve aimed to do with what I’ve lived and what I’ve witnessed of the RGV is to use it to cultivate what Edward Said calls an “exilic consciousness,” a way of seeing the world as an outsider in order to see it more profoundly, hopefully more clearly. This then is key to my writing. PÉREZ: I have lived here over a decade and something that I admire here is the DIY spirit among so many, including poets, writers, artists, and activists. To name just a few, Hermana Resist Press, FlowerSong Books, the Rio Grande Valley International Poetry Festival immediately come to mind, and I love NETA, the new “bilingual, multimedia platform”, Aquí Estamos, LUPE, and the activism of the Sierra Club here against the border wall and more. Granted, these entities do not represent the majority of the population, but they bring hope for positive change to many, including myself. PÉREZ: I have thought a lot about the depth and breadth of Leslie Marmon Silko’s novel Ceremony, which I haven’t read in years. I read it when I lived, for a time, near Gallup, New Mexico, near the land where the novel takes place, much like living here in the Rio Grande Valley for the past 10+ years and reading Anzaldúa. These are real places. These are incredible artists who write/wrote about historical and living trauma in Native and Chicanx communities. Healing is not the right word to describe their work because the systemic issues largely remain, though their work, through art, definitely gives us readers tools to consider as we search for ways to continue to dismantle the systems of oppression that have found residence in us as younger people. BOWLES: I keep coming back to Benjamín Alire Sáenz, especially his young-adult novels, in which Mexican-American teens who’re struggling with crises of identity find support, acknowledgment, and deep love in their familias and communities. Re-reading the powerful Sammy & Juliana in Hollywood, I relived the epiphany I had when younger that the harsh strictures of some adults and the forgiving flexibility of others were both expressions of the same aching affection. Sometimes that love is complicated and painful, of course, and the author doesn’t shy away from that, but for the most part, our gente overflow with love. What is a favorite ritual of resistance? A favorite ritual of self-love? PÉREZ: A favorite ritual of resistance is saying no. No to more border walls, no to existing walls, no to so-called “levee”-walls, no to so-called fences that are really walls. No to policies that say yes only to the middle class and wealthy. No to those who contribute to or comply with systemic racism, everyday sexism, homophobia and transphobia. No to those who expect us to automatically say yes with a smile even if sweetly asked. A favorite ritual of self-love is spending quality time with my two small children, watching them sprint through paths in the monte, the brushlands, which was my retreat space alone before them. They are life and love. BOWLES: My favorite ritual of resistance recently has been to post on Facebook every Monday or so a “Revolutionary Nahuatl Word of the Week.” Each word is a pointed reference to our current president, and I accompany the word with a sample sentence in Nahuatl (with an English translation). This week, for example, the word is “chamāhua” (to brag), and the example is “Mochamāhua, auh ahmo huel quichīuh in mahuiztlanqui” — He brags about himself, but he hasn’t done any great deed. Also, crossing the border at least once a week to eat in a favorite restaurant in either Progreso or Río Bravo (towns in the Mexican state of Tamaulipas) is both a ritual of resistance and of self-love, feeding my soul and belly with culture and cuisine that mean so much to me, heedless of whatever damnable walls the powers-that-be would erect between me and half of my being. GOMEZ: disconnect. To give up the news. To give up media. To disconnect. Go for a walk. Not consume. Not be consumed. Relinquish. Mimic the grackles, simply be. My favorite ritual of self-love is giving love. I like to light my Virgin candles, my saints, and say prayers of protection for the younglings I work with and their families. I like to spend time con las homegirls comadriando. My partner and I often participate in gatherings in which we feed people. Feeding people is a ritual of love, not only because we love food, but because community gathered in the ritual of sharing a meal feels like love. This is especially true when cooking for young students in a college town, who have often been away from the comforts of a home cooked meal for several months. RODRÍGUEZ: I grew up with a poor and limited diet, with a constant unacknowledged level of hunger, so eating well is an act of self-care, a beautiful one. PÉREZ: As I mentioned recently in a short essay, “we have always been writing as resistance… even when we are writing about our existence, it is an act of resistance.” For me, this creation starts in the body, and sometimes it’s a “cactus needle embedded in flesh.” Whether testimonio or acts of imagination, the release through language, and through crafting it, helps it become something else, and that is creation. This process, for me, contributes to my existing with a greater sense of dignity, through remembering, and finding something out I didn’t know before, even if it is a metaphor or a turn of phrase, which I believe is part of the soul-making Anzaldúa talks about in her work. Switching gears… this past weekend, I co-organized a gathering of borderlands poets reading at part of the existing border wall here that was built after the so-called Secure Fence Act of 2006. The readings were recorded for a video we are making. The theme of the gathering: “What would you like to tell the world about your home?” Creation is not a solitary act, and many of us do want to have a chance to speak/perform our art, together, as another form of collective creation and action. This is where DIY comes in: how will this region leave more footprints? That it resists and resisted, that its residents lead complex, varied lives beyond stereotypes, that a lot of people live here on both sides of the border and it’s not a tiny place? Through the documentation of marches and demonstrations. Through the incredible activist work. Poets, writers, and artists have their own approach. We need all of these approaches. BOWLES: In Mesoamerican thought, order/creation was the flipside to chaos/destruction. In the face of one of the most chaotic and destructive political movements since Jim Crow, our primary tool must be creative in nature, must bring together the broken pieces of our hearts and [forge] them in mosaics that are stronger for the welding. Poetry, novels, essays, art of all types … creation allows us to assert our existence in defiance of those who would erase us. The Nahuas (Aztecs) had the perfect word: “chīhualoyān.” A time for making. That’s how we should see this moment of crisis. SANDOVAL: Creating in a climate of political instability means privilege, it means having a voice and understanding the responsibility that comes through the narratives we choose to tell. As poets and scholars, we are present to capture and tell the truth about what is happening to us as a whole, and to our people. Creating means being able to ensure that what matters remains in focus, that what’s important isn’t erased to talking points and disembodied statistics on evening news graphs. As poets and scholars creating isn’t just the poems we write, and the articles we publish, it is also in those spaces we make possible for others. The spaces we create where people can gather to talk, to write, to paint, to eat, to laugh, to feel safe; where we teach, where we learn, where we share of ourselves and our times to build communities, to make allyships. Creation is kin to resistance, kin to hope, kin to love, and in a climate of political instability, it will be our drive as creators that will that keep us connected to each other, keep us grounded, keep us building and working towards a more just world. GOMEZ: I see creation now as an act of preservation: discovering what I have not known before, or rediscovering what I have known, and then protecting it through the act of poetry. It is not too much to imagine how easily entire histories and peoples can be erased. It has happened before. Erasure is happening now, in courthouses and legislatures all over the U.S., and their difference from erasures in the past is a difference of degree, not of kind. Creation needs also be awakening. Not only in myself, but in others. It must be a constant, vigorous voice. // Creation is the instability of the soul. If the soul sleeps, it does not create. As an artist, I see my self as contiguous with the community, seeing what the community sees, feeling what the community feels. With the election of a race-baiting misogynist who has vowed to inflict a permanent wound along the Rio Grande, the intensity of violence upon the body of the community has been exposed as more than potentiality — it has been born as a living, breathing animal. By necessity, the embedded self creates, and what I create is an act of defiance, and survival, and hunger. RODRÍGUEZ: In the current climate, which I see as an uncovering of an ever-present American ethos, rather than some new aberration, creation of art feels small sometimes. Writing a poem at times feels inadequate to the task, given the urgency of the situations in which so many find themselves with regard to document status, for example. But this is how I know to contribute, as an artist. As a community member, I see the classroom as a manifestation of that community or as a space for community, so I strive to create a safe space, a space free of bullying where real growth can happen. Beyond the classroom, I look for ways to stand in solidarity with the oppressed and the marginalized, while at the same time acknowledging that as a brown queer immigrant, I intersect with those communities, in spite of the welcoming professional space I may inhabit. *Editor’s note: “In Lak’ech” has also been a poem central to the culture wars in Arizona schools. See here for more. David Bowles has lived most of his life in South Texas, where he presently teaches at the University of Texas Río Grande Valley. His most recent release is a short story collection called Chupacabra Vengeance. Rodney Gomez is the author of the chapbooks Mouth Filled with Night and Spine. He lives and works in the lower Rio Grande Valley. Emmy Pérez is the author of the poetry collections With the River on Our Face and Solstice. Originally from Santa Ana, CA Emmy has lived on the Texas-Mexico border since 2000 and currently teaches at the University of Texas Río Grande Valley. José Antonio Rodríguez is the author of the poetry collections The Shallow End of Sleep and Backlit Hour. He currently teaches at the University of Texas Río Grande Valley. Veronica Sandoval aka Lady Mariposa is a poet sCHOLAr from the Rio Grande Valley. She is currently an academic chola getting her PhD at Washington State University. Maya Sisneros is the Director of Publicity at Aunt Lute Books, a nonprofit, feminist publishing press in San Francisco. She lives in Oakland, CA. 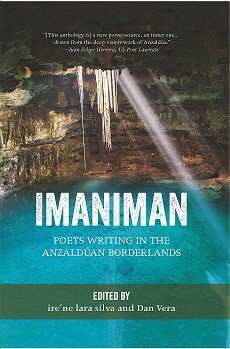 Order your copy of Imaniman: Poets Writing in the Anzaldúan Borderlands from Small Press Distribution or Aunt Lute Books today.